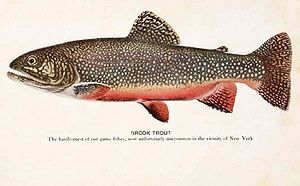 Many fish from other parts of the world, including the brook trout and the zander, have been introduced into our waters, with mixed results and occasionally amidst controversy. Introduced fish are a ‘subject guaranteed to raise heated arguments among freshwater anglers. Some are against the introduction of any foreign fish, arguing that new diseases and parasites can come with them, and that new species might compete with our native species, forcing them out. Others favour the introduction of new species to enhance our fishing, arguing that some species are better sport-fish than our native fish, and many of them would grow faster. In the past about 25 new species have found their way into this country, because of the absence of import regulations. Much stricter controls operate now, though new species can still arrive here provided they have gained a clean bill of health. Reasons for introducing fish have been varied. Monks introduced the common carp and probably the crucian for food. Later the fast-growing ‘King Carp’ arrived and quickly found favour among anglers. Aquarists imported many more exotic species: these found their way as unwanted pets into many of our rivers and lakes. Such fish include the goldfish, golden orfe, bitterling, pumpkinseed, American catfish, cichlid, guppy and even, perhaps, the piranha! The search for sporting fish which provide good eating has seen the in-troduction of the rainbow trout, brook char, hutchen salmon, wels (catfish), zander and American bass. A few fish have been introduced entirely by accident. One example is the American walleye, a relative of the zander, which was introduced in 360 perch. The long sea voyage prevented its introduction until 1878, when 23 zander (each weighing about 2 lb) survived the long journey from Bothkamper Lake in Germany to Woburn Park. The Woburn lakes were stocked with more zander in 1910, but despite introductions into other waters the zander remainded localized in Bedfordshire for some time – until 1959, when 500 young fish flown in from Sweden were released in a stock pond in Cambridgeshire. The fish placed in the pit at Mepal survived, but have never spread from there. 1880 were they successfully established. They were spread from Woburn to Claydon lakes and nearby waters. Eggs thought to be from black bass were imported and 20 fingerl-ings introduced into the Great Ouse near Earith. 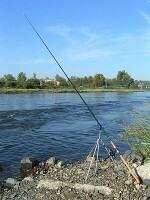 It was not until 1934 that the mistake was discovered when a walleye of 11lb was caught from the River Delph at Welney. Nothing more was heard of these fish and it is assumed that they never bred. Probably the most successful, yet most controversial, of the introductions was that of the zander or pike. 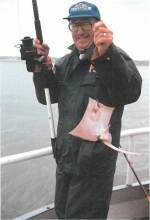 A few other introduced fish are of interest to the angler. For example the tropical cichlid and guppy can be found in St Helen’s Canal, where the heated water from a glass factory helps them survive and breed. In the future, great care will have to be taken when introducing foreign fish. There are a number of untreatable viral fish diseases, which could endanger our in-digenous fish stocks. Similarly, a weed-eating fish such as the grass carp may have a serious effect on the growth of our own fish. Provided a sensible attitude is adopted concerning the introduction of foreign fish, there is no reason why exciting fish such as the muskellunge and coho salmon should not be introduced from North America. Up until this time zander had always been introduced into enclosed waters and had little chance to spread. This changed in 1963 when one- and two-year-old zander were released into the Great Ouse Relief Channel at Stowbridge. By 1966 it was evident that these fish had bred in large numbers, and by 1968 the first ten-pounders were being taken, and the zander spread out into the Fenland river system. More recently, zander have been transferred illegally, by anglers, to waters far from the Fens. As far as is known, no new diseases or parasites have been introduced with zander. Large- and smallmouth black bass, the famous sporting fish of America, have been introduced in many waters but only a few have established themselves, in lakes in Surrey and Dorset. The wels (catfish) is another fish of localized distribution.